The FXTM or Forex Time company launched in 2011 with its headquarters in Cyprus (Limassol) been named as one of the world’s fastest growing brokers, since in a relatively short time the firm showed great and rapid growth through its focus on Africa and Asia regions. The broker establishes its core on reliable trading conditions and detailed education and bring trading across the world with its accessible trading around the globe, regardless of the trader’s knowledge. However, the chain of FXTM offices also established around Europe and located in the UK, France, Italy, Spain, Poland and the Czech Republic. The main approach of the FXTM we can characterize as a client oriented broker, mindless the trader’s trading capital, experience or style FXTM have a solution to meet a particular need and provide outstanding service in almost every way. 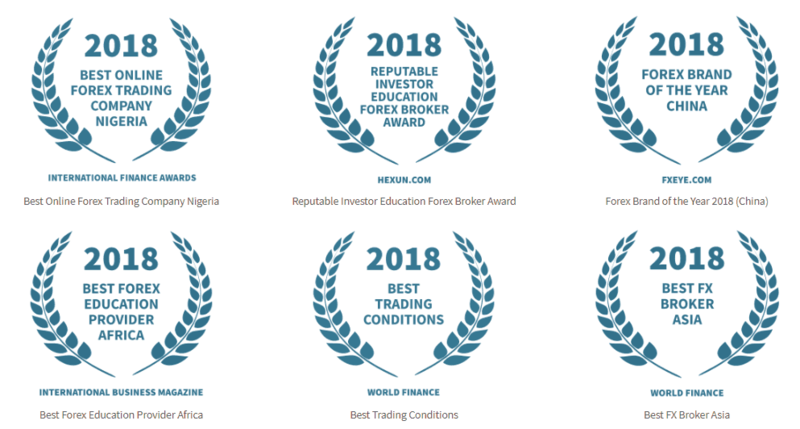 The broker hosting regular educational events in various cities around the world while satisfying the demand to start a trading journey and supporting with learning material everyone who would like to engage into trading. What is more, Forex Contest is established by FXTM competition held regularly and is one of the ways to test strategy, polish skills and grow confidence. A truly challenging experience available in both Demo and Live accounts hence is an ideal for both experienced and “fresh” traders, for recently available contests check official FXTM website. Overall, from the fast client approval to the general trading process, comprehensive learnings and available features, FXTM proves its high ranking among the traders community with more than 90% of positive feedbacks. The numbers are actually confirmed by the large community of FXTM traders with about 750,000+ active accounts that growing, numerous attractive opportunities and gained vast of awards for excellence trading. FXTM also proudly takes an active social role while supporting and sponsoring various world Sports alike Sahara Force India Formula 1 team and regularly reveals in the media. Is FXTM safe or a scam? ForexTime Ltd, ForexTime UK Ltd and FT Global Ltd are three entities under the FXTM brand that provides trading services to more than 10,000 clients from over 135 countries around the world and important to note comply with the necessary regulatory guidelines in every region FXTM operates. Each brand that FXTM serves is authorized and regulated by various global jurisdictions, while ForexTime Ltd is regulated by CySEC of Cyprus, FSB of South Africa, and by the offshore authority IFCS in Belize. The FXTM UK brand is authorized by the known sharp regulator FCA (UK), which has principals built by MiFID and ICF. Since FXTM license means its compliance with all the strict regulatory requirements, trader’s investment considered to be safe, as the broker completely segregates funds from the operational funds of the FXTM while kept in leading and reputable EU banks. In addition, FXTM is a member of the Investor Compensation Fund that compensates in case of the company insolvency, as well as protected by the negative balance protection and other requirements that are audited on a regular basis by the authority. FXTM trading technology and toolbar uses the industry’s leading software, which doesn’t require presentation the platforms –MT4 and MT5. However, a progressive technology of the MetaTrader combined with FXTM’s unparalleled trading services allowing smooth operation and enhanced your trading capabilities. In addition to its powerful feature and clear possibility to monitor markets, the platform enables automated trading which is the execution of orders automatically according to the implemented strategy or the ranked strategy manager which you can choose through numerous criteria to follow. The FXTM platform can be installed directly at any device and supporting PC, MAC, mobile or tablet devices, as well accessible through web and Multi Terminal, hence you will always have access to your trading account at personal convenience. 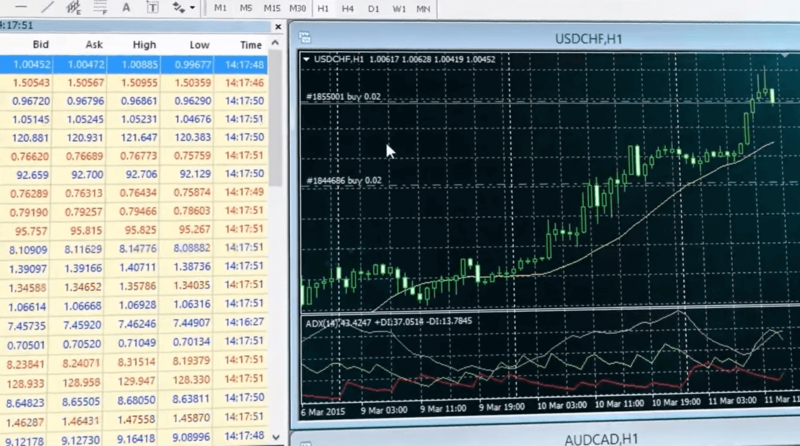 All necessary and useful tools are also included, from risk management to analysis, as well as a unique developed trading tool like – Pivot points strategy and trading signals, converters, calculators that designed to make trading to the trader of any level more professional. Generally speaking, FXTM offers some of the most comprehensive ranges of markets and account features among the industry brokerage offering. This includes 250+ financial instruments, forex with over 50 currency pairs including attractive FXTM CFDs on Cryptocurrencies, spot metal CFDs, share CFDs on over 170 major companies, CFDs on Commodities and Indices. Despite the majority, the FXTM trading accounts are truly ensuring each client convenience by separate accounts for Forex trading and Invest Accounts, then further split to the trader’s preference of the trading transactions, instrument and the trading size. In simple words it means that if you prefer to use ECN execution you have a choice between various FXTM ECN accounts, or an option to be based on Standard Accounts with no commission and all costs built into the spread. So now let’s get a closer look to FXTM Standard Accounts which are divided into three options – Standard Account, Cent Account and Shares Account. FXTM Standard Account – is a most balanced feature for all with floating spread from 1.3 pips, while FXTM Cent Account is a good choice for beginners with a small deposit to start – 5$, spreads from 1.5 pips and instant execution model or Cent lots. FXTM Shares Account is specifically designed for traders who prefer trading on stocks over 180 US shared, allowed hedging and as spreads as low as 0.1 pips. The second group of accounts are known as FXTM ECN Accounts that are also split into three features integrated to specific needs. FXTM ECN Zero – is a non-commissionable account with a quite low deposit of 200$ for a start, spreads starting from 1.5 pips with no re-quotes execution and allowed hedging, scalping features. 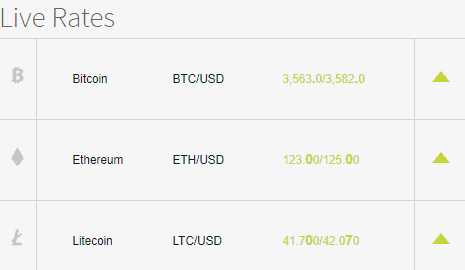 As well, traders having a chance to become portfolio managers for other users with this account with built PAMM and investment programs. FXTM ECN – account enclose commission of 2$ per lot, but including unlimited orders and you can enjoy low spreads from 0.1 pips. And the last is FXTM Pro Account – designed for professionals with a deposit of 25,000$, but offering floating leverage, interbank spreads starting at 0 and a great variety of assets. New traders or the ones who would like to try the platform can learn to Trade via Demo account, featuring $1,000,000 available to trade, detailed step-by-step tutorials and online webinars, individual support by the account manager in 16 languages. Moreover, there is an additional feature for FXTM Invest Account, a quite simple and secure profile that including copy trading tool supported by the Top Strategy Managers and suitable for the traders of almost all degrees. 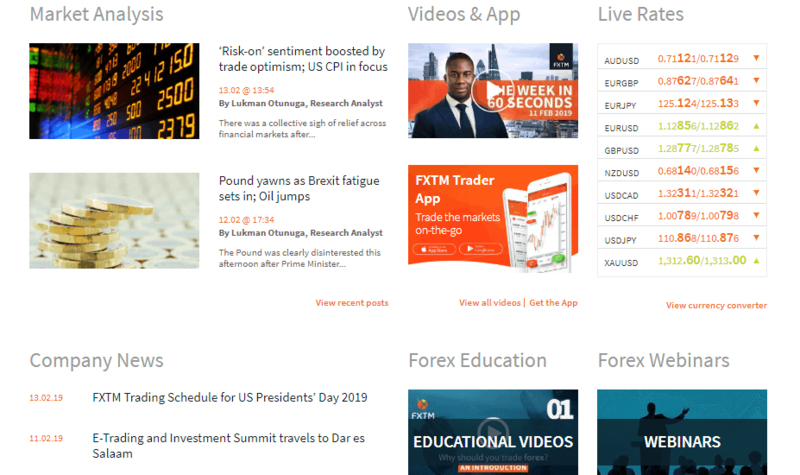 For accurate and updated information please check official FXTM website, or compare fees to FXTM peer XM Trading. When you trading with FXTM you are able to operate with fixed or floating leverage. The leverage indeed a very useful tool, especially for the traders of smaller size, as it may increase your potential gains timely due to its possibility to multiple initial account balance in a particular number of times. Yet remember that correct leverage should be set to various instruments, as it may increase your potential loses as well. FXTM leverage is determined by various measures and firstly set according to the regulatory requirement in the region or another, and then is based on the trader experience and knowledge. So if you would like to operate under higher leverage ratios like 1:400, 1:500 or even 1:1000 you may open an FXTM account under a particular entity that allows such high leverage levels, which is offered by the global brand FT Global Limited. Otherwise, if you are a resident of Europe or UK, as well holding an account under European entity which obliges to ESMA regulation, the maximum current leverage ratio is set to a 1:30 on Forex instruments, 1:25 Spot Metals, etc. In terms of the funding methods, FXTM made it quite simple and straight forward process with a truly wide range of options that will assist the trader to find a suitable money transfer provider. In order to fund an account, you may choose among credit cards, bank wire transfers, E-wallets (Neteller, Skrill, Alfa-Click, WebMoney, Western Union, Dotpay, Yandex money, Qiwi wallet, Bitcoin via Skrill), also with a possibility to perform a local bank transfer. Alike you can choose transfer via Deutsche Handelsbank (accepting deposits in EUR) and Rietumu Banka (using GBP, PLN, USD, EUR, RUR). The minimum deposit requirement for you to start trading at FXTM is set to as low as the $/€/£ 100, while all deposit fees will be covered by the company. FXTM withdrawal fee applied to some of the payment methods, while others may be provided with 0% commission. As the variety of payment methods truly widely presented, the withdrawal fee varies from the option to another. As an example, Credit Cards withdrawal features 3$ fee, while Bank Transfer will cost 30$, and WebMoney will charge 2% above the requested amount. However, these fees considered to be on a low level comparing to other industry offerings. As we can conclude while the majority of the brokers concentrating mainly on a developed and well known markets, unlike FXTM placed their focus to other countries like Africa and Asia, which brings the advantage of Forex trading further and allows well-regulated trading offering worldwide. The main tool in this strategy is – education, which attracts new traders and giving a great opportunity for both parties good. Though, FXTM gives a quality trading potential for both beginners and experienced traders or investors. Moreover, there are other advantages with ForexTime too, the accounts variety is very impressive that allows any trader best suitable option either with flexible or floating leverage, – leverage which determined based on the trader experience and knowledge, tight spreads from 0.1 pips and low deposit requirements.